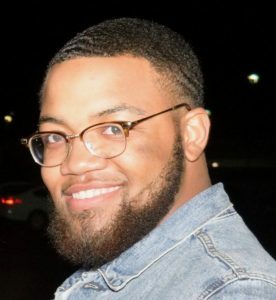 Bryson Royal is currently an undergraduate Electrical Engineering student. With this degree, he plans to enter the marketing sector of the engineering field, speaking or selling components / software to other companies and establishing relationships. He began his work in the ArtSci Lab in January of 2018, and is currently the lab coordinator. In addition to sending and receiving a copious number of emails, he works to keep the lab running smoothly by keeping up to date with departmental procedures to ensure the lab stays in good standing with the university, communicating with project leads to make sure their projects are on track, planning and running lab wide meetings, and helping plan for the future of the lab. Besides this main focus, he is also working on a lab technology plan which will detail all of the software and hardware we use in the lab as well as why and how we use it. In his free time, he enjoys reading (both novels and comic books), writing, and watching great movies. He places a high value on interpersonal communication and enjoys getting to know others, which he has been able to apply to his work with the lab and hopes to keep using in the future.